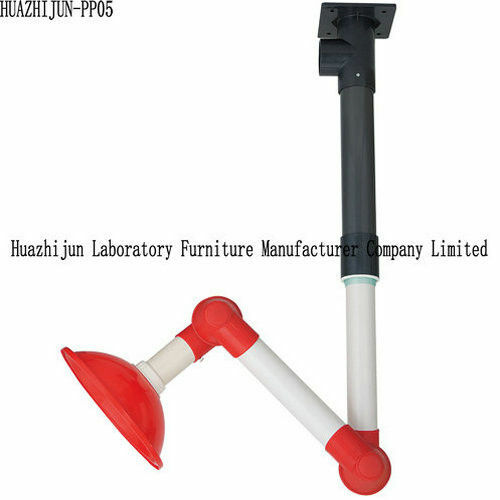 1.Joint: made of high density polypropylene PP material, easy to disassemble, restructuring and cleaning. 2.Joint sealing ring: the anti-aging high-density rubber. 3.Articular tension knob: high density PP material. 4.Flow regulating valve: combined with circular connector designed for manual adjustment, through an external valve knob, adjust the angle valve to control into the gas flow. 5.In gas-collecting Hood: PP white/red/transparent. 1. 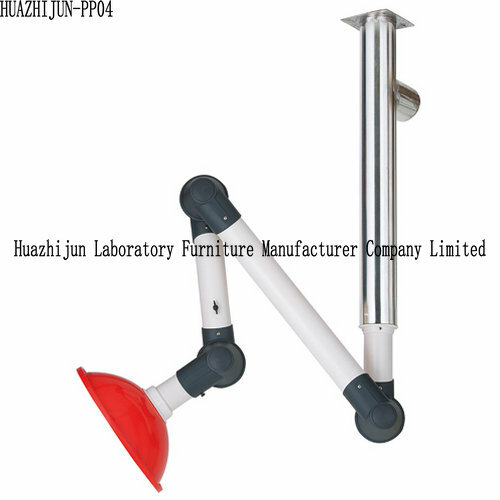 A four-section telescopic tube, gas-collecting hood, mount, and other components. 2. 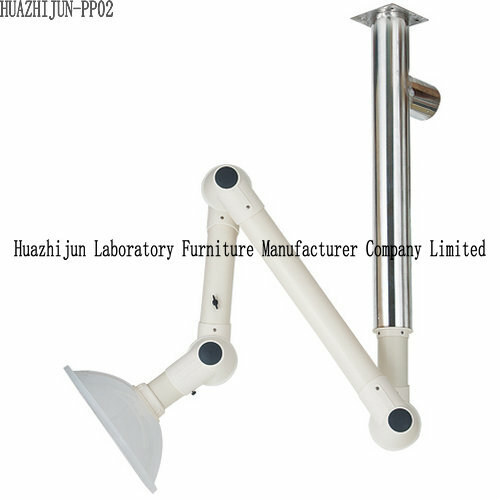 Size: ① diameters: ф 75mm; ②the total length (in four sections): 1500mm. 3. Material: ① tube: PP pipe; ② rotary joint: ③ connecting rod Joint Center: galvanized steel ; ④ support spring: plating zinc steel ⑤ joint gasket: low friction ring rubber gasket; ⑥ articular tension knob: PP; sadly, solar Butterfly;Valves: plastic (outer edge by the soft treatment). 4. Gas-collecting hood of ф 310mm. 5. Exhaust hood ventilation volume is adjustable, you can shut down when not. 6. Surface wind velocity ≥ 0.35 m/s, exhaust 200m3/h. 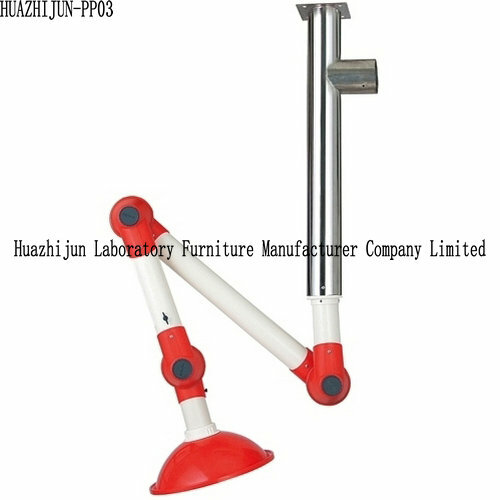 9.Overall demolition equipment is convenient, easy to clean, non-hygienic dead angle. Our Company Website is http://www.chinafumehood.com.